The music of Forastiere is a product of his solid training in classical, contemporary and rock music. His music defies genre definitions. Forastiere regularly plays for festivals and concert seasons – classical and not – in Europe, the United States and Canada, where radio and media have devoted various specials to his music. As well as his solo work, in January 2008, Forastiere performed his piece for electro-acoustic guitar and string orchestra “Why Not?”, at the Palladium Theatre in Rome, a world premiere with the Roma3 Orchestra directed by Pietro Mianiti. In 2010 he formed Guitar Republic, with the two acoustic guitarists Sergio Altamura and Stefano Barone; that same year the trio released their debut album and began touring intensively in Italy, the USA and Canada. In 2012, at the New York Guitar Festival, Forastiere presented “from 1 to 8”, a collection of eight studies for contemporary acoustic guitar focusing on different technical and compositional aspects. In 2010/11 and 2013/14 he toured with the International Guitar Night (US and Canada). His fifth solo album, and ninth of his discography, “Deconstruction,” was released in January 2015. 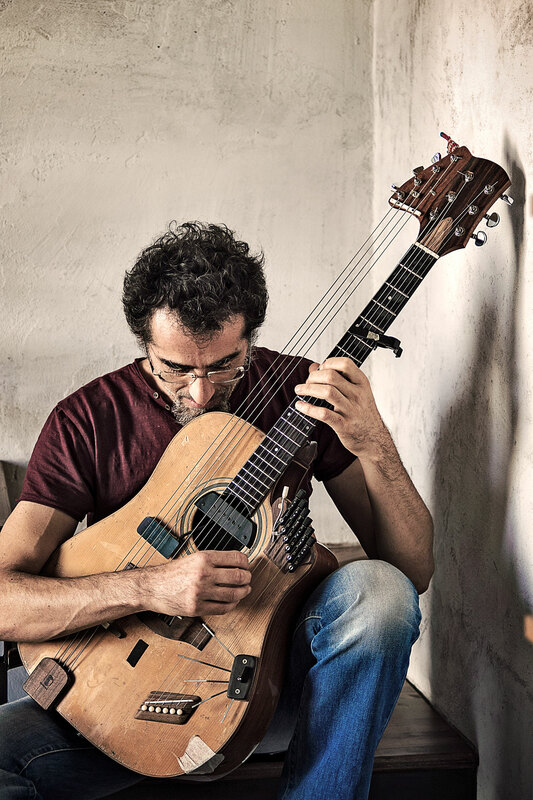 His current solo work explores new sonic textures on a prepared 16-string guitar, built on specific Forastiere’s requests by the Italian luthier Davide Serracini. A new album, “Village Life”, will be released by October 18th, 2017. In the Italian language, ‘Forastiere’ means foreigner, stranger. Pino De Vittorio: Tarantelle del Gargano (1997, L’Empreinte Digitale, performing with the 10 and the 6 string guitar in a repertoire dedicated to the traditional Southern Italy’s folk music from the XVII and XVII centuries).